ARG is so confident that we can provide you the highest profit per hour, we are willing to bet $100 to prove it. 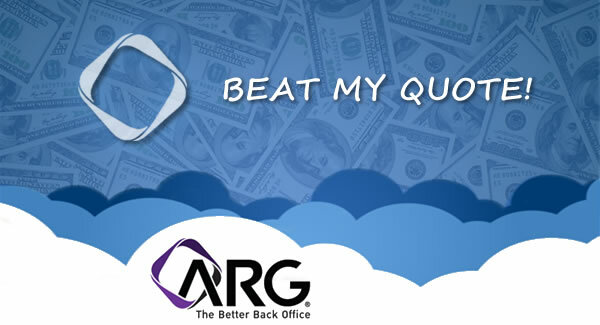 If we can't beat your current provider's full back office profitability then ARG pays you $100...PERIOD! NOTE: High risk workers compensation codes are not eligible for the "beat my quote" promotion. ARG is only comparing profitability against competition who provide full service A to Z back office solutions. ARG requires verifiable documentation from other competative quotes provided within the last 30 days to determine accuracy.